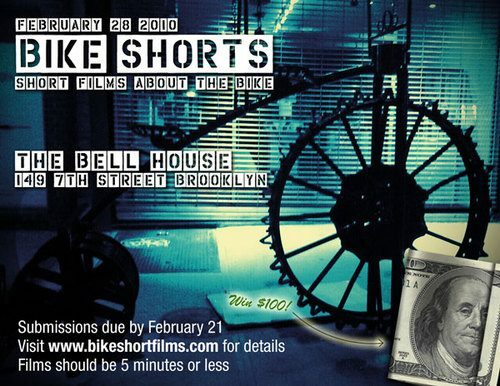 The Winter 2010 Bike Shorts deadline is approaching. This time around, the mini-film fest is at The Bell House in Gowanus, Brooklyn on February 28th. All submissions are due by the 21st. Be there!